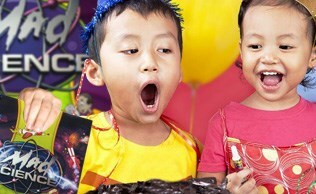 Give your child a birthday celebration that'll surely be the talk of his class for a very looong time! 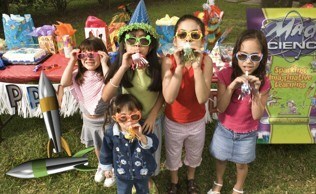 Throw a Mad Science-themed party! 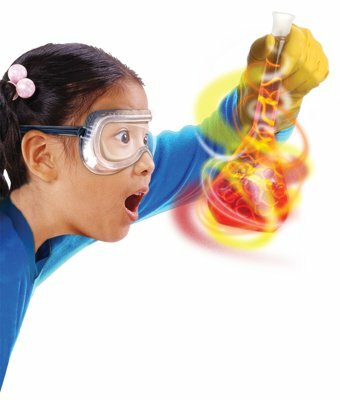 Let our energetic Mad Scientists wow your child and his friends (and the parents too!) with mysterious disappearing water, amazing tornado rings, fascinating burp potions and an exciting Mad Science bubble bath right on the spot! Kids will be having so much fun, they won't even notice they're learning a lot of science too!